While many people spend their time on Earth Day picking up trash, planting flowers, and finding other ways to make a difference, others are looking for more permanent ways to continue their environmentally friendly work year round. The average home in 2012 used 148,600,000 BTU. That’s like the energy in 165,033 sticks of dynamite, or 15,370 pounds of coal, or the energy found in 31,226 burritos, according to the U.S. Department of Energy. That’s enough energy to send Marty Back to the Future 121 times! The average American family uses more than 300 gallons of water per day in the home, according to the Environmental Protection Agency. About 70 percent of this usage happens inside the home. Nationally, outdoor water use accounts for 30 percent of household use, but can be much higher in drier parts of the country. 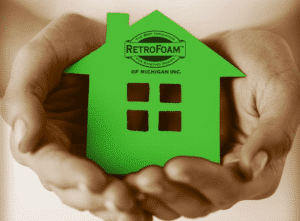 As part of RetroFoam of Michigan’s efforts to help the environment, we have compiled a list of 30 Earth Day tips to help you reduce your carbon footprint, create a healthier home, and lower your monthly energy bills. Buy locally grown produce. Who knew that fruits and vegetables could be such globe-trotters? North American produce can travel a minimum of 1,500 miles to get into the hands of shoppers at grocery stores. This transportation uses barrels upon barrels of crude oil and spews out pollutants and greenhouse-gases on the trip. If you buy your seasonally available produce from local farmers you can reduce your food miles and cut down on pollution, while helping your local economy. Slay those energy suckers in your home. There are several appliances in your home that are draining power 24-hours a day, even after you have turned them off. In total Americans pay $1 billion a year to power televisions and VCRs that are turned off. Other stingy appliances eating up your energy include the toaster, coffeemaker, hair dryer, computer, printer, cable box, and cell phone charger. Energy Star to the rescue. The average U.S. home can pump out twice as much in greenhouse-gas emissions as the average car. Buying Energy Star-rated appliances, electronics, and lighting can help to reduce that, while saving you money on your monthly energy bills. Install a programmable thermostat. It can be easy to forget to turn off the AC or heat when you’re not home, or turn it down when people are sleeping. A programmable thermostat can regulate your home’s temperature by settings you create for certain times of day. The programmable thermostat will also help you save on heating and cooling costs. Increase the wattage on light bulbs. If you are still using incandescent bulbs with dimmers or three-ways on multiple fixtures, try consolidating. One 100-watt incandescent bulb emits more light than two 60-watt bulbs combined, but requires 17 percent less power. Just make sure the bulbs don’t exceed the maximum wattage recommendation for each fixture. Make the switch to compact fluorescent bulbs. Although they are more expensive, compact fluorescent light bulbs last about 10 times longer than a regular light bulb. That means for everyone CFL you screw in, you’ll be saving eight incandescent bulbs from heading to the garbage dump. In the long-run you will also save money on your monthly energy bills because CFLs use 75 percent less energy. Swapping one bulb also reduces the amount carbon dioxide by about 500 pounds a year. Replacing 17 bulbs is the equivalent of taking one vehicle off the road for a year, according to Live Science. Leave your shoes at the door. 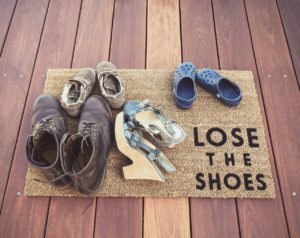 Taking your shoes off at the door will not only help you avoid getting stains on your floors, but will also reduce the number of pollutants and toxins you bring inside. Throughout the day, you may step in anything from antifreeze and oil to fertilizers and allergens that are unhealthy to breathe. Fix leaking toilets and faucets. That dripping faucet and running toilet is literally money going down the drain. They also attribute to the waste of a lot of water. The average home’s leaks account for more than 10,000 gallons of water wasted every year. If you find a leak, you’ll need to call a plumber to assess the situation. 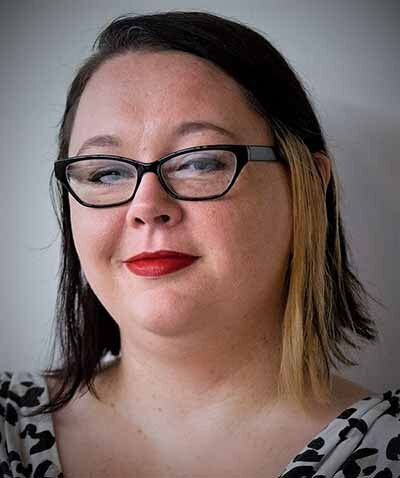 The Three Rs – reduce, reuse, and recycle. Helping the environment can be as easy as reducing what you consume, reuse materials that make sense, and recycle what can’t be reused. It’s a no-brainer that it’s better to reduce personal consumption than it is to reuse something. It is also less environmentally taxing to reuse a product than to have it recycled. Lowering our overall impact on the environment is a team effort and a little bit from everyone can go a long way. Go off the grid and opt for clean, renewable energy. Low-impact sources of energy like wind, solar, and hydroelectric power can reduce our dependency on coal-burning power plants, which are a major source of greenhouse-gas emissions. An added bonus is harnessing the power of renewable fuels like the sun and wind which are free, your energy bill is likely to go down. Reduce carbon emissions by utilizing green travel. Choosing to carpool or taking public transportation can reduce your carbon emissions which also helps you reduce your carbon footprint. The less vehicles on the road means less pollution in the air and less money spent on gasoline and car maintenance and repairs. Take your bicycle for a spin. You can reduce your carbon footprint even more by opting to ride your bicycle instead of using a car or mass transportation. The only energy used in bicycling is the power of your legs. Drive a low carbon vehicle. Getting higher mileage doesn’t mean your vehicle has low CO2 emissions. Only electric cars charged with clean energy emit no CO2. Don’t speed. You may not be in the market for an electric car, but cutting back on your lead foot can make a difference too. 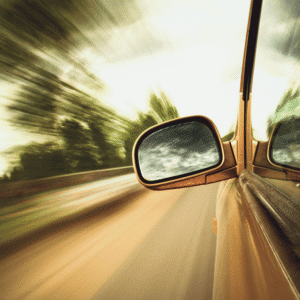 Speeding and unnecessary acceleration reduce mileage by up to 33 percent, wastes gas and money, and increases your carbon footprint. Unplug power tools in your workshop. There are a number of cordless tools in your workshop that are eating up energy. Tools like your cordless drill gets more use, but those other tools that don’t see the light of day as often can be unplugged. Most cordless tools have a nickel cadmium battery, which will hold some charge for up to a year. Use no- to low-volatile organic compounds. Aim to use no- to low-VOC paints and cleaning products in your home. VOCs can cause headaches, nausea, and irritation to the respiratory system, skin, and eyes. Reduce the amount of water used in the household. By just installing aerators on your faucets and switching to low-flow shower heads can reduce the amount of water used in the home. Outside you can plant native vegetation because it generally requires less water, fertilizer, and pesticides. You can also wash your clothes in cold water then air dry them to help save energy and money. Eat less meat. Going meatless one day a week can help to reduce your carbon footprint while saving resources like fresh water and fossil fuel, according to Grace Communications Foundation. The United Nations’ Food and Agriculture Organization estimates that nearly one-fifth of the man-made greenhouse-gas emissions comes from the meat industry. Choose cloth over paper for cleaning. Instead of running to the store for paper towels for spring cleaning, why not use the old t-shirts you were looking to get rid of? You can cut up the old shirts, or other form of clothing, and use that as a cleaning rag instead. Use, reuse, and repeat. Borrow instead of buying or shop secondhand. It’s really easy to run out and buy brand new things that you can easily borrow or get secondhand. 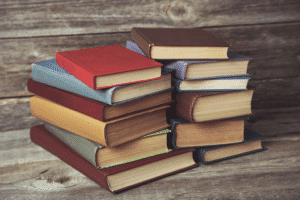 You can rent movies, or check out books and DVDs from the library. Or if you want to own it, check out secondhand stores where you will even save a little money. Avoid catalogs by browsing and shopping online. Save some trees and avoid carbon emissions by opting out of paper catalogs and just browsing online instead. The average American tosses about 41 pounds of junk mail every year, according to Live Science. You can cut that weight by removing yourself from direct-mailing lists. Enroll in online statements and billing. Many utility providers, cable companies, and financial institutions off the option to receive online statements instead of printed ones. Reducing the amount of mail you receive can impact the environment by reducing the number of trees cut down, reduction in the amount of automobile and airplane exhaust in the atmosphere, and reduces the need for ink. It also reduces the amount of paper that ends up in landfills. Skip the paper or plastic and use canvas. 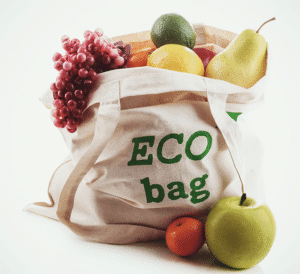 Forgo the paper or plastic bags by bringing your own reusable canvas bag the next time you’re at the grocery store. Because the petroleum-based plastic used to make the bags isn’t biodegradable, it will surely outlive us all in a landfill. Save used paint thinner. After cleaning oil-based finishes from your brushes and tools, you can let the dirty solvent sit overnight. The sludge will settle to the bottom, leaving a layer of clean paint thinner on the top, according to This Old House. Carefully pour off the clean paint thinner into a clean container and reseal it for future use. Combine all of that old white paint. Every time you have redecorated, a new can of white paint made its way into your garage. Combine all of those old cans – making sure to only mix latex with latex and oil with oil – and paint the inside of the garage or workshop. Start a compost bin in your backyard. Food waste in landfills generates methane and greenhouse-gases. You can cut your carbon footprint by composting food scraps – except meat – in a backyard compost bin. No yard, try a worm bin. 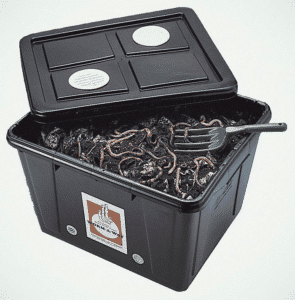 You may not have the yard for a compost bin, but you can use a worm bin right inside your home. You can use an old drawer or wooden box to house the worms with some moist non-color newspaper and soil. Feed them your fruit and vegetable scraps to help reduce the amount of trash you put out and your carbon footprint. Collect rain water. Collecting rain in a barrel is great for watering your plants, gardens, and yards. This will cut down on the amount of water you use at your home and is a healthier way to water your plants. Seal gaps around doors and windows. Older homes tend to have more gaps around the doors and windows, letting in air from outside causing the AC and furnace to work harder. Putting weather stripping around those gaps can save you money on your heating and cooling, while preventing energy from being wasted. Insulate your home with foam insulation. Insulating your home with environmentally friendly foam insulation won’t just help the environment, but will also make the home more comfortable and save you money on monthly gas and electric bills. Both Icynene and RetroFoam insulation materials are hypoallergenic, non-toxic, and environmentally friendly. Now that you’ve read some simple ways to go green at home, you might be ready to start making moves to make your life more green and eco-friendly.